Professor Frey leads a research group of six graduate students and two postdoctoral fellows, who invent new algorithms for machine learning and study scientific and engineering problems in genome biology. He has cross-appointments in the Banting and Best Department of Medical Research, the Centre for Cellular and Biomolecular Research and the Department of Computer Science. 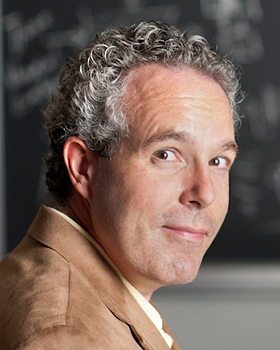 Some topics that Frey and his students have worked on include inference and learning in graphical models (MIT Press 1998), factor graphs and the sum-product algorithm (IEEE Trans Info Theory 2001), image epitomes (CVPR 2004), the affinity propagation algorithm (Science 2007), using mRNA expression data to infer gene structure (Nature Genet 2005), and inference of the genetic codes governing gene expression and alternative splicing (Nature 2010). Frey studied in Canada, the US and the United Kingdom. He is a consultant for several international companies and is on the Technical Advisory Board of Microsoft Research India. Many of Frey’s former graduate students and postdoctoral fellows are now professors (Harvard, UMW, UNC, UPenn, UToronto, UZurich), industrial researchers (Altera, Google, Kobo, Microsoft, Yahoo! ), and entrepreneurs (eg, Shape Collage).